How do you program a replacement key? 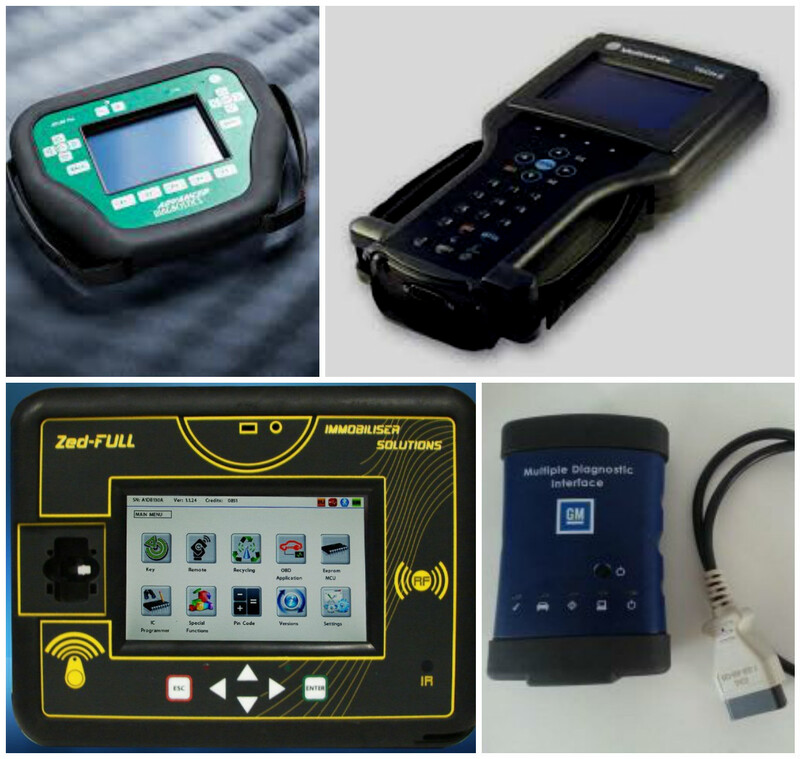 All modern cars are fitted with a diagnostic socket, this enables specialist computers to interface with the car. We use this socket to plug in either main dealer manufacturer tools or our specialist key programming computers. Once connected to the car we have the ability to program a range of ecu's (electronic control units or computers) fitted the the vehicle, however the control unit that contains the immobiliser is the one we need to program a replacement car key. Can i use a secondhand car key? Unless the key has been programmed to your car before the answer is no, and with some vehicles like fiat or Alfa Romeo sometimes keys that have missed a programming cycle (weren't present when key programming was carried out) can no longer be programmed back to the vehicle. The reason for this is when you program a new key to a car immobiliser it locks the transponder in the key to that car. NEVER buy a second hand key thinking it can be programmed to your car ... you will just waste your money. Can you reprogram my original car key? On the whole the answer is yes, there are a few exceptions but most cars will allow original keys to be reprogrammed. Do you stock replacement car keys? Yes we do, at replacement car keys we have a comprehensive range of car van and truck keys including remote keys for most common vehicles on the road. If your remote car key is not in stock we can usually get it in 24 hours and in a lost keys situation and the unusual event we don't have your remote key in stock, we can get you up and running so you can drive your car, then return to program the remote key. All models of Ford car or van keys, we can supply, cut and program Ford car or van keys. We also have either standard keys without buttons, or remote ford keys with buttons in stock, this means you can get a replacement Ford key today. Completely mobile locksmith service we come to you and complete the job. Replacement Car Key stock the full range of Renault car keys, including Renault key cards. If you need a Renault car key we can help, even if you have lost your car key and we can do the job today. Renault car key programming and immobiliser problems solved. The Lexus immobiliser system allows replacement car keys to be programmed easily as long as you have a working key. However in a lost key situation its a different story. Replacement Car Key can supply and program Lexus car keys even in a lost key situation. Replacement car key are specialist car locksmiths and as long as you have a working key the Toyota immobiliser system allows new car keys to be programmed relatively easily, however in a lost key situation its a big job, If you own a Toyota car GET A SPARE KEY or if you are in a lost key situation call us we will get you back on the road. Need a replacement Vauxhall key? Have you lost or broken your Vauxhall key? Replacement car keys carry Vauxhall remote keys in stock. We will supply, cut, and program your new Vauxhall car key. At Replacement car keys we have a range of key cutting equipment including fully automated cnc machines. We are able to duplicate and cut replacement keys from code.